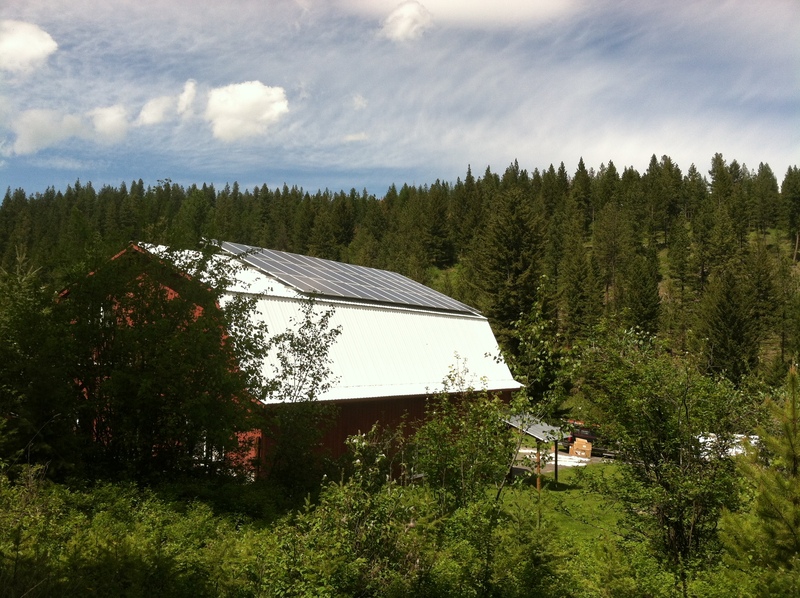 We finished the off-the-grid system in Maui in June of 2010 and it seems to be working wonderfully all summer. All in all, we installed a 5.6 kW solar array, battery bank and inverter system on the island of Maui for an off grid facility. The system powers a main house, two guest houses and a pool house. We had fun with this project as it is located in such a beautiful part of the world and the local Hawaiians where integrally involved in the installation work. Because the system is beyond the power lines we employed a large battery bank and backup generator fired by propane. This system design varies greatly from grid connected systems where batteries are seldom employed as the power grid serves as “financial” power storage. Cloud cover and precipitation vary extremely from 12 to 360 inches per year depending upon the microclimate which made the system sizing a bit more challenging. To compensate for this variable we included a 30 kW generator and four inverter/battery chargers which can recharge the batteries in several hours time. Here is our photo show of the final install, inverter and battery bank, etc… If you want captions, please click on the image below and then on the icon in the lower right w /the four-arrows for full-screen mode. After five weeks of designing, ordering and coordinating over sea shipments, we are about to depart for the final installation phase of our Maui PV system. As things move a bit slower in this part of the world we have needed every day to bring the pieces and people together to be at this point. Several hundred feet of buried conduit are being set this week in advance of the final week push of installation. A new concrete pad has been poured for the 500 gallon propane tank which will fuel the backup generator. Project objectives have grown which is typical yet always different. As we found a place for this tank it was decided to pull the old above ground diesel tanks which died long ago. It is amazing to see what this rainforest climate can do to steel. The top portion of the tanks have literally rotted away. Don’t stand in one place to long or a vine will start growing up your leg. We will be installing 27 Sharp 235 watt modules, three of which will operate the swimming pool circulation and filtering pump directly. An Outback power panel including 4 outback inverter/ chargers will be placed in the equipment room along with 24 -2 volt cells to give us a large battery storage system. Check out the video clips of our initial inspection. Not a bad place to have to work as long as the vines don’t get ya! Missoula to Maui – two trips – 6-weeks – off the grid – this is awesome! We completed our in depth site analysis of the Maui, Hawaii facility earlier in April. 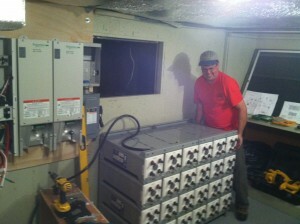 We shot three video clips of the existing 20 year old PV system which we will soon have on our site. The clips detail the review of this system which is at the end of its useful life, and our suggestions of what to replace it with. In brief we will be installing a 5.6 kW solar array and expanding the existing mount structure. 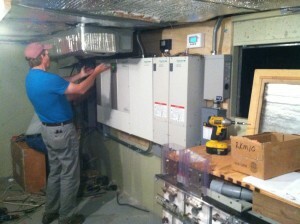 The two Trace inverters will be replaced with four Outback inverters and a Outback power panel. A stationary generator will be installed to maximize the battery charging ability of the above mentioned inverter/chargers and minimize the generator run time. As the pool filtration pump was found to be consuming one third of the entire facilities electrical power, this AC pump will be replaced with a DC pump powered from its own three module solar array. This will maximize overall efficiency and greatly reduce the man hours spent in cleaning the pool. We are scheduled to install this system in the first half of June so we will keep posting as we go.